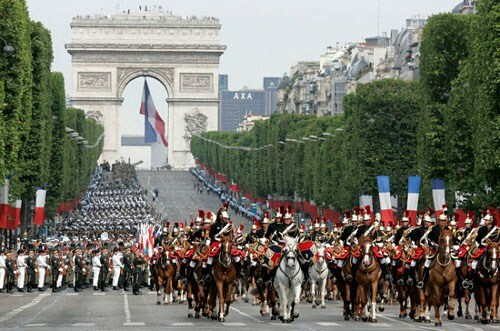 “At the Champs Elysees … At the Champs Elysees … In the sun … In the rain” … Every year, it’s the same song: the National Day of July 14 offers us a large-scale show with the Military Parade on the most beautiful avenue of the world. And if you enjoyed your stay at the hotel Alixia to take a tour of the Champs Elysees and attend the parade? At 10 am, the trumpets will announce the arrival of the President of the Republic at the top of the Champs Elysees. Then it will be the turn of the drums to vibrate for the Military Parade of July 14 with the presence of elites of the French army. A solemn ceremony of 2 hours to celebrate the national holiday during which French military regiments will parade. The sky will also see helicopters and planes, as well as the Reaper drone. You may not know it … But July 14 is a national holiday since 1880! It is a civic festival that marks an important step in building the link between the army and the people. The Military Parade on July 14 follows a symbolic journey from the Star (representing the war) to the Place de la Concorde (representing peace) since 1919. July 14 does not stop at his morning Military Parade. You are likely to see troops mounted on the main arteries of Paris. And, in the evening, you can watch the fireworks of July 14 from the Champ-de-Mars. An unforgettable show that will dazzle the Eiffel Tower with a thousand lights. As a preamble, the Orchester national de France and the choir and the mastership of Radion France are likely to move the public with an open-air concert. Get ready for a veritable feast for your eyes! In July, Paris will see some great stars of music for stunning concerts. 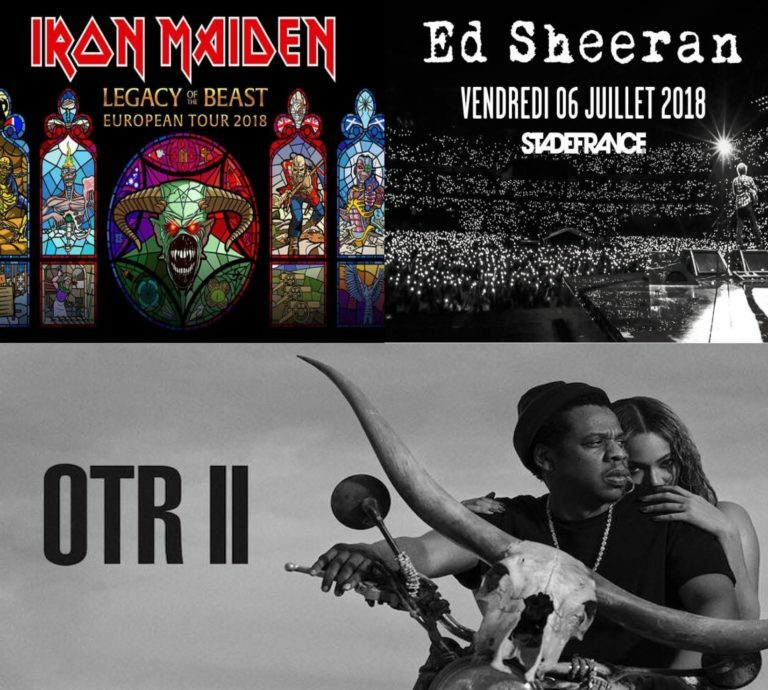 The AccorHotels Arena and Stade France get ready to shudder under Iron Maiden’s metallic chords, Ed Sheeran’s pop melodies and the wild rhythms of Jay-Z and Beyoncé. Not to be missed! Iron Maiden: Legacy of the Beast! If the Iron Maiden members are approaching sixty, they have not lost the sense of the spectacle of their forty years of stage. A true institution of heavy metal, the British group is still attracting more fans from all generations around the world. Absent from the Paris scene for several years, Iron Maiden comes to be forgiven by adding Paris to the list of cities on her “Legacy Of The Beast – European Tour 2018” tour. See you on July 5 and 6, 2018 at the AccorHotels Arena for this concert which will be sold out. Complete! No more Ed Sheeran, one of the hottest artists of the moment! The British singer will go through the Stade de France on July 6 and 7, during his big tour of the stadiums. The tickets sold like hotcakes despite the announcement of a second date. For those who could not get tickets, rest assured, France will be part of Ed Sheeran’s 2019 tour. Stay tuned! No, you are not dreaming, there are still places for the concert of the most famous couple in the music industry! Jay-Z and Beyoncé offer themselves the Stade de France on July 14th and 15th. The couple loves our beautiful capital so much that Jay-Z and Beyoncé have repeated their entire tour in Paris. Get ready to wiggle all night on the titles of the two stars! For 20 years, the Solidays invade the Hippodrome de Longchamp at the end of June to the delight of music lovers. 2018 is no exception to the rule and this mythical place will host some of the greatest artists of the moment from 22 to 24 June. The Solidays is above all a committed festive event based on solidarity, a friendly atmosphere and prestigious artists. This festival is today one of the major musical rendezvous of the summer and awaits you as every year at the Hippodrome de Longchamp from 22 to 24 June. The profits of the festival will be donated, as usual, to associations fighting against AIDS, as well as prevention and assistance programs. The 20th edition of the Solidays will be held under the motto “We are all Heroes and will receive more than 150 artists for three days. The concerts will be divided between the five scenes with different atmospheres to put the eyes and ears full to the public come to be lulled by soft melodies and frantic rhythms. What to put sun in the heart of the public, come to celebrate the love of music! 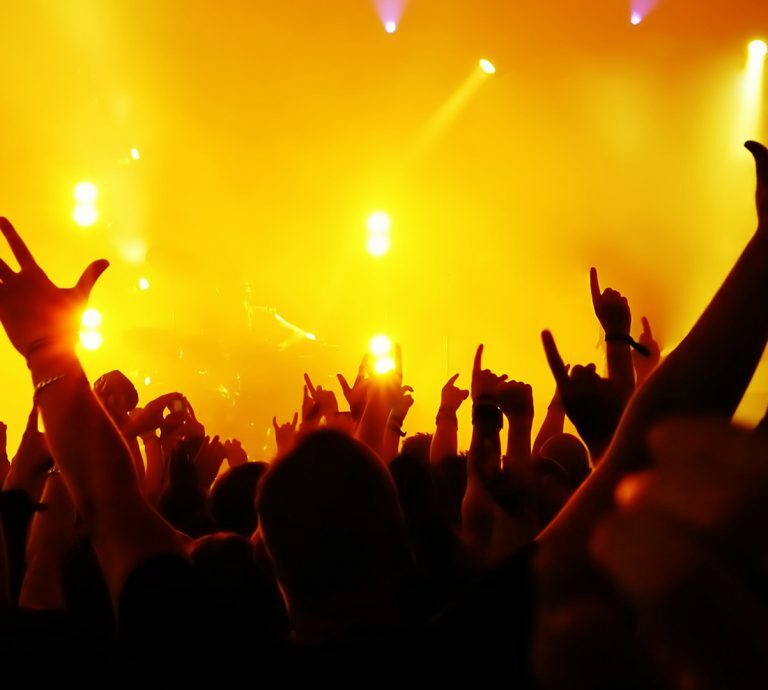 Among the headliners who will fire on stage, you will find the famous David Guetta, IAM or Shaka Ponk. Other well-known artists will come to the Longchamp racecourse, including Niska, Møme and Mr Oizo. From Australian electro to jazz to rap and pop, the public will have its eardrums and can wiggle on the pace that pleases. Unpublished events are also planned during the weekend to celebrate the 20 years of Solidays. Many surprises are expected! Whether you are an art lover or a expert, take advantage of your stay at the Hotel Alixia to take a tour of the exhibition “Pastels of the Louvre of the seventeenth and eighteenth centuries” which will take place in the galleries of the famous museum June 6 to September 10, 2018. The exhibition allows visitors to (re) discover the most beautiful works of European pastels. It must be admitted that the Louvre Museum can boast of having the most important collection of French masterpieces of its kind. All were made in pastel under the reigns of Louis XV and Louis XVI. A fragile artistic technique that makes the works even more fascinating. 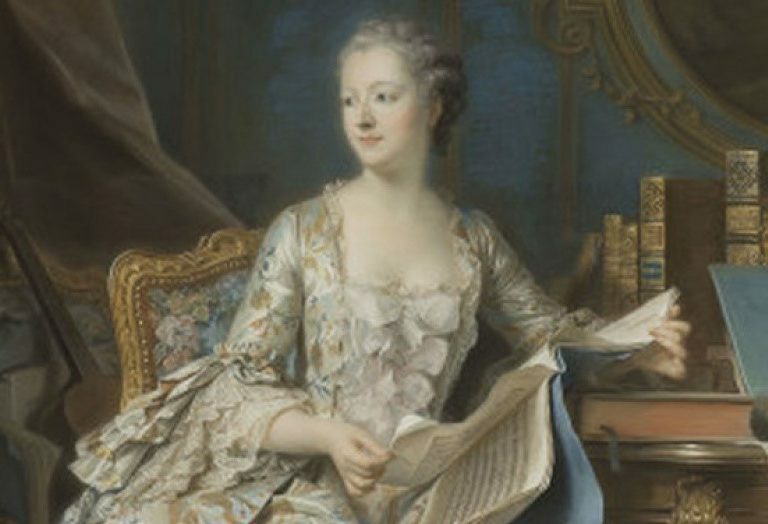 Visitors will find the full-length portrait of the Marquise de Pompadour by Maurice Quentin de la Tour, as well as works by Jean-Baptiste Siméon Chardin, Elisabeth Vigée Le Brun and Elisabeth Vigée Le Brun. The exhibition gives an opportunity to compare the talent of French and European artists who have distinguished themselves in this artistic technique. Indeed, pastel is one of the subtlest tools to make portraits with bold colors. This small stick of colored dust makes it possible to reproduce the most minute details of a fabric, a material or a light, thus creating a perfect illusion. In total, the Louvre’s collection of 120 pastels, jealously kept out of sight, which are sure to bewitch lovers. All these works have been restored thanks to the patronage of the American Friends and will allow you to discover the secrets of this artistic technique and its history. 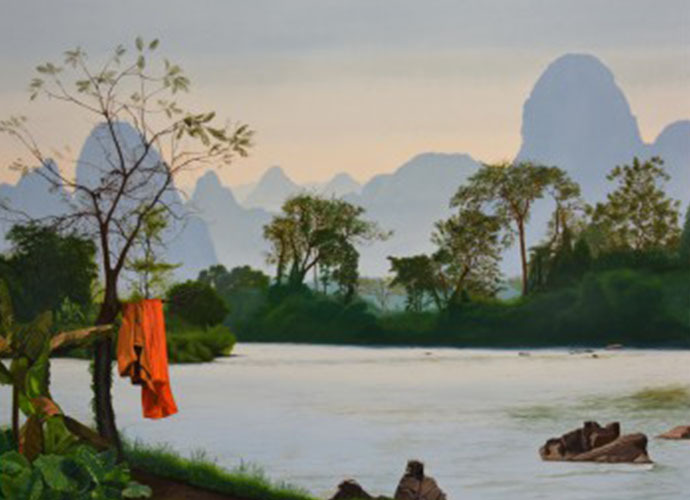 A captivating exhibition that changes traditional paths! Have you always dreamed of discovering what’s happening behind the scenes of a movie set? The City of Science and Industry invites you for an interactive exhibition that will allow you to unlock the secrets of special effects. 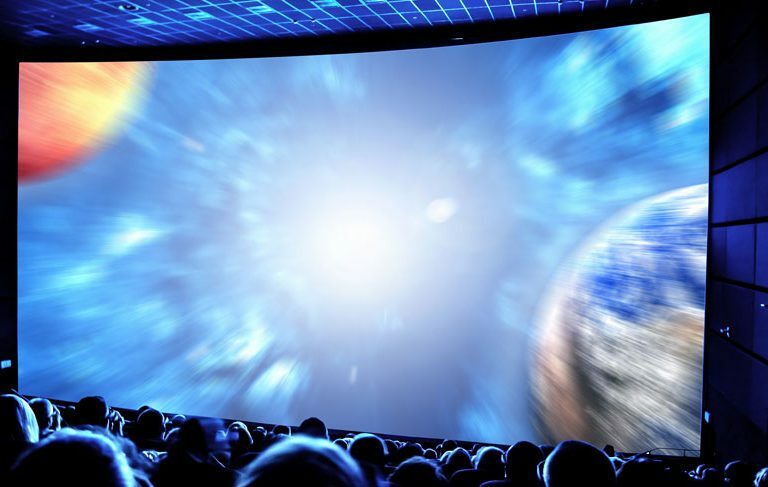 Movie buffs and fans have until August 19, 2018 to immerse themselves in the magic of cinema through the exhibition “Special effects: crack the screen”. It is through a fun and informative journey that the City of Science and Industry transports the curious into the thrilling world of cinema. The “Special effects: crack the screen” exhibition allows visitors to discover the making of a film from A to Z. Cut into four stages, its immersive scenography is likely to change your view of special effects. First step: the office where you will discover scenarios, storyboards and drawings. Then comes the board, where virtual characters are created. The studio reveals how landscapes, crowds or liners are designed and integrated. Finally, the movie theater explains how special effects change the viewer’s gaze. The little extra of the exhibition? The possibility for each visitor to become the hero of his own “film” by staging in front of a green screen, like the real actors of cinema. The excerpt will be available on the Internet. Children will also be able to create an original monster in the mini-studio of the exhibition with the help of nose, ears or pieces of silicone faces. A workshop that could give rise to vocations and that will fascinate the most creative. The exhibition allows to become aware of all the unknown trades necessary in the various stages of the realization of a film. 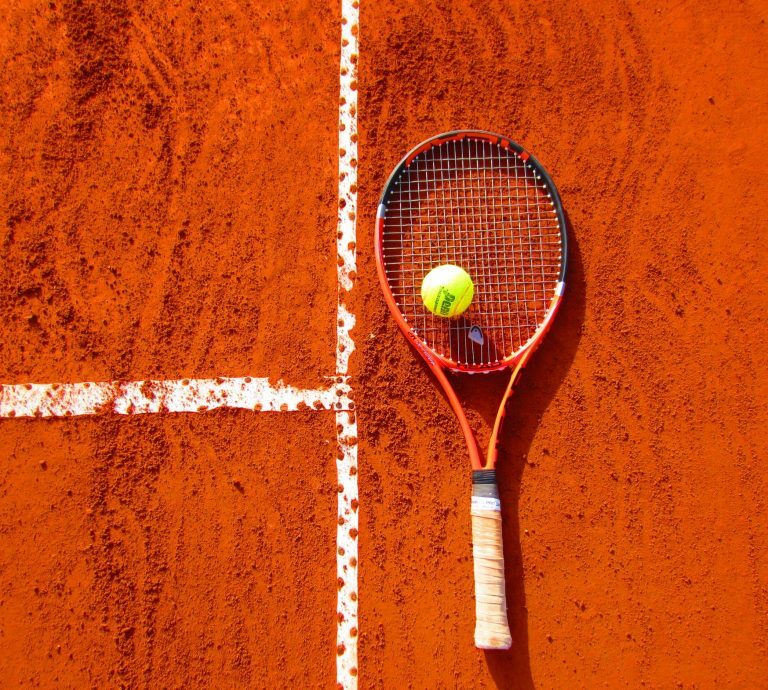 Attend the famous Roland-Garros tennis tournament! The fans of the little yellow ball are looking forward to it every year! Roland Garros, one of the most anticipated sports events in the world, will take place from May 21 to June 10, 2018. The cream of world tennis will compete on the dirt ground for three weeks, under the fiery encouragement of public. To attend the Roland-Garros tennis tournament, visit Porte d’Auteuil, at the edge of the Bois de Boulogne. A veritable temple of world tennis on clay since 1927, the Roland-Garros stadium has been revived for its 90th birthday. Roland-Garros 2018 will be marked by new developments, including a new Village and three new courts. The Orangerie has even been renovated to accommodate the raffle draw. It must be said that Roland-Garros is one of the four major tournaments organized by the International Tennis Federation with the Australian Open in Melbourne, Wimbledon in London and the US Open in New York. As a prestigious tournament, it was normal to adapt the site for an ever more passionate audience and more numerous. As every year, Roland-Garros will offer many events including the simple tables men and women, qualifying from May 21 to 25, the men’s doubles, the double ladies and the mixed doubles. The Perrier legends trophy will take place from June 5th to 10th. A charity day for “Les Enfants de Roland-Garros” will be organized on Saturday, May 26th. Finally, the women’s grand final will take place on June 9, 2018 and the men’s grand final on June 10, 218. Whether you are a fan or a tennis lover, do not miss this thrilling event on your next stay at the Alixia Hotel. Find all the programming and practical information on the Roland-Garros website: https://www.rolandgarros.com. The beautiful days come and, with them, their lot of shows and spring animations. From March 27, until October 30, 2018, the Château de Versailles opens its green and flowery gardens for an exceptional musical walk with the Musical Foutains Show and the Musical Gardens. In the spring, the Château de Versailles reveals all its magic with a course through the basins, the groves and water gushing at the rhythm of the splendid melodies. You will have the pleasure to venture through the alleys of the French gardens and to discover secret places. The perfect opportunity to go for a nature walk in a majestic setting! You will walk among statues, including Proserpine and Apollo, flowerbeds and hand-cut topiaries. True star of the course, the grove of the Water Theater will offer you splendid sculptures-fountains. While the Mirror Pool will amaze you with its show of water games. For its part, the Gilded Children’s Basin regains its legendary beauty with its lead statues. 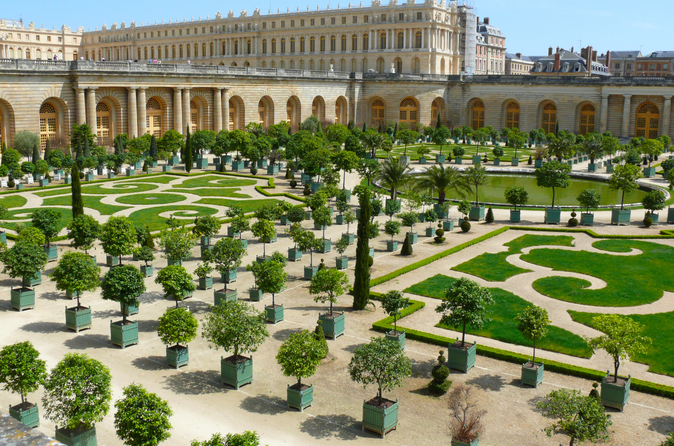 This year, the Château de Versailles will captivate you with a new soundtrack composed by Lully, Rameau or Charpentier. These extracts of works were selected among those of the Versailles-Alpha collection and were directed by the greatest leaders of the baroque music. The Musical Gardens are open every Tuesday from March 27 to May 15, 2018 9 except on Tuesday May 1 and 8) and from July 3 to October 30. They are also open on Fridays from April 6 to October 26, 2018. The Musical Fountains Show are open on Saturdays and Sundays from March 31 to October 28, and Tuesdays from May 22 to June 26, 2018. 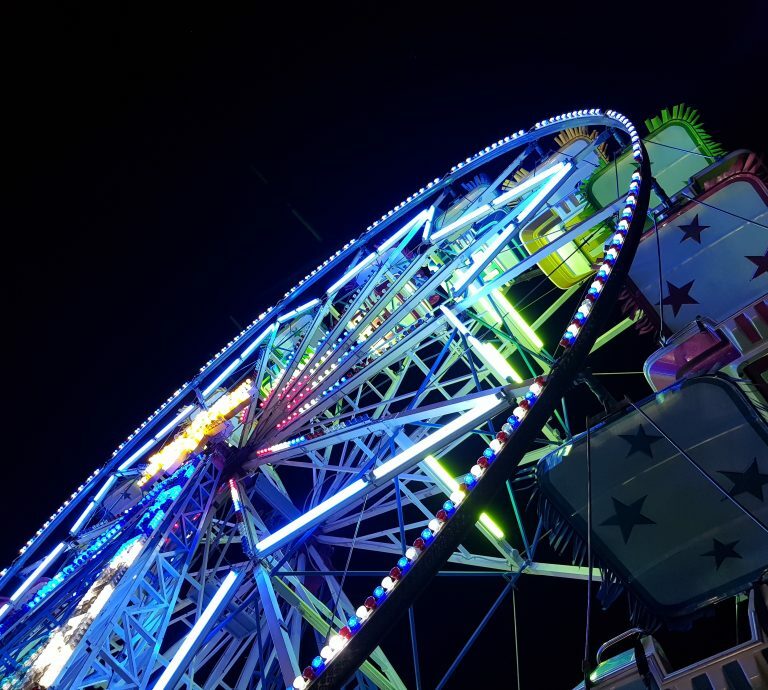 The “Foire du Trône” of Paris is back for a 1061st edition, from March 30 to May 27, 2018. Rendez-vous on the Reuilly Lawn in Paris to take full view and thrill with 350 attractions and 80 rides. It’s gone for 60 days of games! As happens every year, the “Foire du Trône” of Paris expects nearly 3 million visitors from March 30 to May 27, 2018. The largest carnival in France invites you to enjoy some churros and candy floss between two intoxicating attractions. Young and old will be spoiled for choice to have fun with family, friends or lovers. The Opening Night of March 30, 2018 will be for the benefit of the Rafael Institute. During this evening, the profits of the fairgrounds will be donated entirely to the institute. You will enjoy the rides at will for € 25 while doing a good action. The Throne Fair also offers you great surprises with an amazing program. A tribute will be dedicated to Johnny Hallyday Sunday, April 1, followed by a Breton day on April 22 and a Portuguese day on May 6. Visitors will be able to take out their best costume on Sunday, May 20th during the Carnival. The event will be closed with splendid fireworks on Saturday, May 26th. To surprise even more visitors, the Fair of the Throne of Paris has planned some new. On the program of this 2018 edition: Starlight, a brand new attraction that will delight adrenaline lovers. This one is reminiscent of astronaut training machines and will take intrepids to a space trip. Another novelty is the Spin Ball, which will carry 24 passengers in a 3-minute trip during which they will be propelled up to 8 meters in height. Do not hesitate to visit during your next stay at Alixia hotel! L’entrée est gratuite et les attractions coûtent entre 2 et 10 €. Vous pourrez opter pour un pass vendu entre 26 et 30 €. Get ready! The unmissable meeting for fans and tattoo enthusiasts will take place in Paris on Friday 9th, Saturday 10th and Sunday 11th March 2018 at the Grande Halle de la Villette. This new edition of the Mondial du Tattoo promises to be captivating! Thanks to the famous Paris tattoo artist Tin-Tin, the Mondial du Tattoo is the right to a second chance, after 13 years of absence in the City of Light. Since 2013, the success of this event continues to grow and attract more and more tattoo lovers. More than 35,000 visitors are expected for this 8th edition! This mythical convention will bring together more than 420 tattoo artists from 30 different countries in the 20,000 m² of the Grande Halle de la Villette. All will have the pleasure to show you their talent and share their passion for this art. 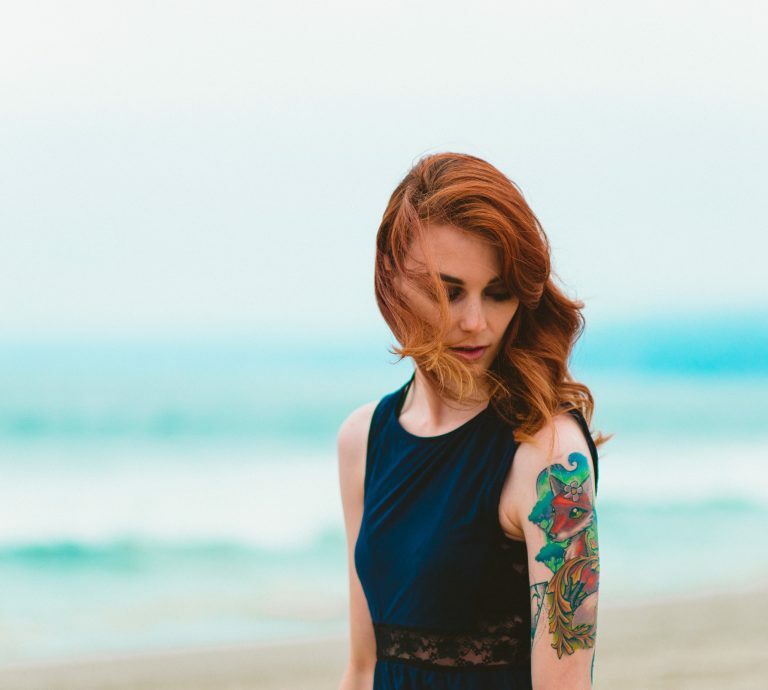 This event also represents the perfect opportunity to see tattoos parade, to contemplate the most beautiful tattoos that adorn the aisles of the show and to discuss with tattoo artists of international or national fame. Many events will be organized during these three days: tattoo contest, exhibitions, as well as concerts with the special arrival of Mass Hysteria and the Swedish group Graveyard. Among the tattoo artists present for this 8th edition of the Tattoo World, fans and enthusiasts will find Charles Huurman, Fred Laverne, Laura Satana or Myra Brodsky. Do you dream of being tattooed by one of these artists? Go directly to the World Tattoo website and select your tattoo artist to explain your project. Do not hesitate to check it out during your next stay at Hotel Alixia! “This Blue Dream …”, “Love shines under the stars …”, “Let it go…”: so many cults Disney songs that rocked our childhood or continue to rock those of today’s children. Through nostalgia or love for these fantastic stories, the Grand Rex in Paris invites you to celebrate the 80th anniversary of Disney’s animated cinema with a sensational symphonic concert on March 10, 2018. 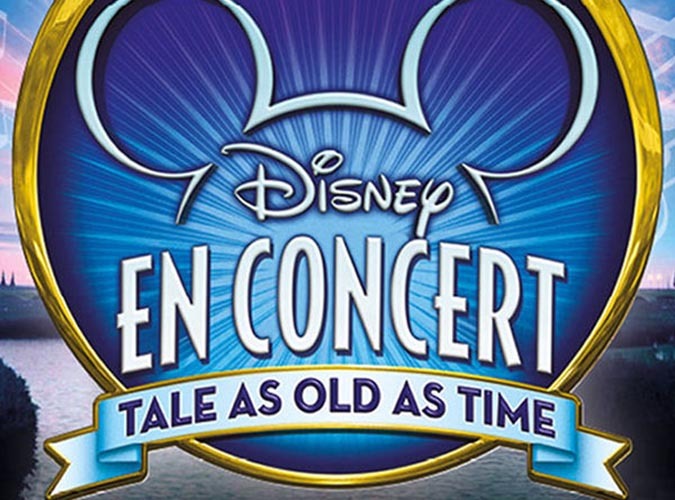 This magical show will allow young and old to find their favorite Disney characters. Rapunzel, Frozen, The Little Mermaid, Beauty and the Beast, The Lion King or Cinderella will come alive for a night with live singers and symphony orchestra. Behind them, a giant screen will accompany their most beautiful music with extracts of carefully selected films. Indeed, since its inception, Disney has continued to get the audience to sing along with their heroes and heroines. Songs engraved in our memories to the hummed beats unconsciously, the bet is successful! It’s impossible to ignore the biggest hits of Disney movie theaters. Conceived for the whole family, Disney lovers and music lovers, this symphonic concert promises to be a magical evening. Fans will recognize in the name of the show, “Tale As Old As Time”, one of the most beautiful songs of Beauty and The Beast. A unique show to discover with your family during your next stay at the Alixia hotel! Every year, Chinese New Year brings together Asian communities living in France and lovers of this fascinating culture. Also called “Asian New Year’s Day” or “Lunar New Year’s Day”, it will begin on 16 February 2018 and mark the year of the Dog. 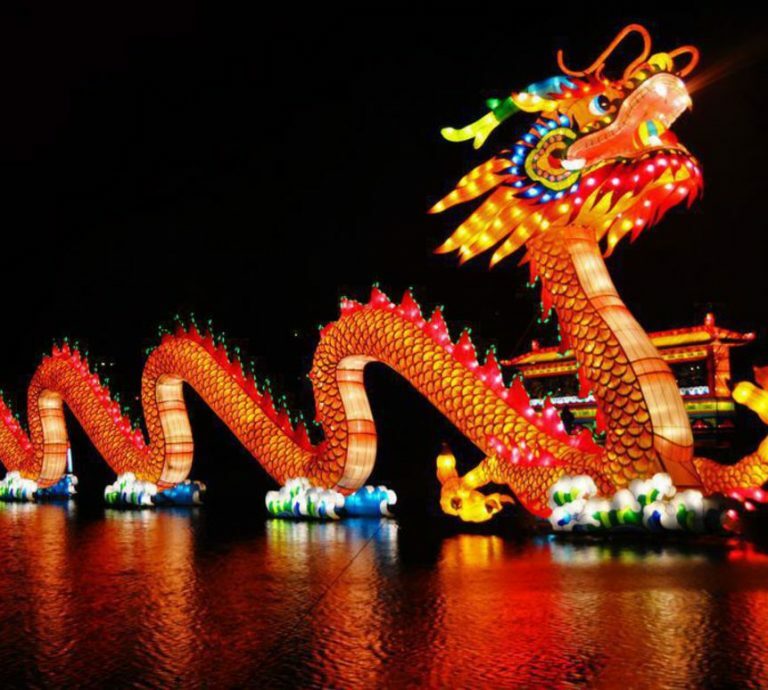 Parades, dances of lions and dragons, carnivals, creative workshops, culinary markets: Paris – and mainly the 13th and 3rd arrondissement – take you on a cultural trip to Asia! If you are staying at the Alixia Hotel from February 16th to 25th, don’t miss participating in one of these events. Deeply rooted in many Asian countries, the Chinese New Year has made its mark in major cities around the world and in France. The 13th arrondissement of Paris is home to Europe’s largest community and organizes the biggest annual Chinese New Year parade. Participants will meet on Sunday, February 25 at 1:00 p. m. and will pass through avenue de Choisy, place d’ Italie, rue de Tolbiac, boulevard Masséna and avenue d’ Ivry. The mayor’s office also organizes many events that will take place between February 19 and March 3,2018. On the programme: concerts, shows, films and conferences. The town hall of the 3rd district is not to be outdone and also offers a plethora of activities from 12 to 17 February. You will be able to discover Chinese painters, attend a concert of classical music by young talents of the International Youth Committee, take part in creative workshops or attend the Lion’s dance and a piano concert. In the 19th, the Philharmonie de Paris will dedicate the weekend of February 9-11 to Chinese New Year. A perfect opportunity to attend a sixteenth-century Chinese opera, traditional Chinese music and a 1930s Shanghai silent cinema! Athletic or Sunday sports enthusiasts will meet on 7 February 2018 at the AccorHotels Arena for the 2018 Paris Indoor Meeting. For two hours, the biggest names in the discipline will be present for a sporting event consisting of seven events. 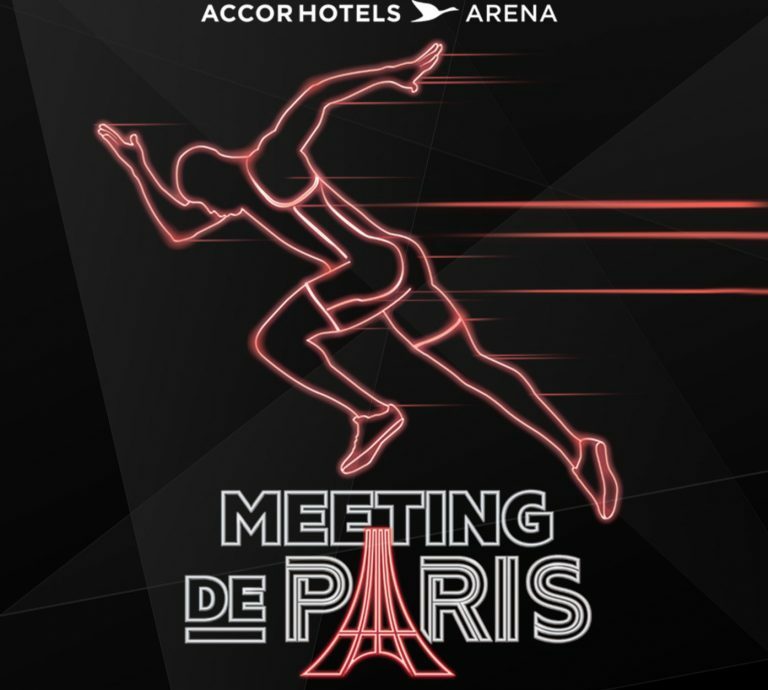 Organised by the French Athletics Federation, the Paris Indoor Meeting promises to be an exciting sporting event in one of the most prestigious places in the capital: the AccorHotels Arena. On the agenda? Seven spectacular events in which the best French and international athletes will compete against each other. Among them, you will find Kevin Mayer for the triathlon, Christophe Lemaitre at 60 met Pascal Martinot-Lagarde at 60 m hurdles. On the women’s side, four names of world athletics were present: Katerina Stefanidi at the pole, Brianna Rollins and Nia Ali for the 60m hurdles and Marie-Josée Ta Lou for the 60m hurdles. All participants will need your support for the 60m Woman and Male, the 60m Haies Woman and Male, the Women’s Perch Jump, the Men’s Length and the Men’s Triathlon. An event that combines show and performance with brilliance! During your next stay at the Alixia Hotel, don’t miss this national indoor track and field competition at the AccorHotels Arena in Paris. 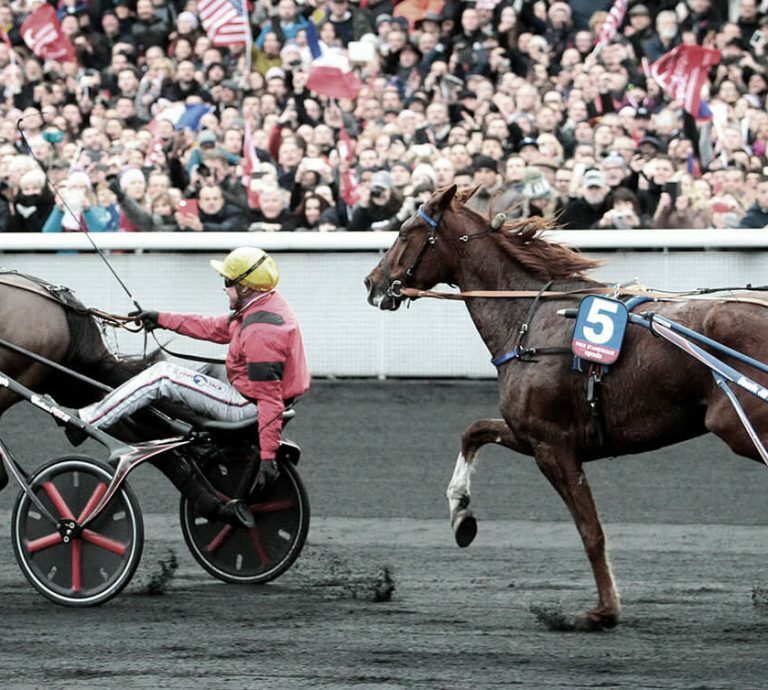 Renowned for being THE race of the year, the America’s Grand Prix will be held on January 28th, 2018 at the Hippodrome de Vincennes in Paris. You’ll see the world’s top 18 too many harness cracks. Every last Sunday in January, the Hippodrome de Vincennes hosts the Grand Prix d’ Amérique for a trotting race on a 2700-metre track. This true American-style show transports the spectator into a magical universe and brings together more than 40,000 enthusiasts and amateurs. You will have the opportunity to watch 150 Harley Davidsons, cheerleaders and acrobats march by! The event also has a few surprises in store with many new animations. Led by 450 artists, the America’s Grand Prix is made up of dance, acrobatics and aerobatic performances to put the spectators in the spotlight. Every year, this unmissable event brings together breeders, owners, coaches, drivers and lads. It represents a great opportunity to support the charitable association Princess Margot. If you also want to help the association, you can buy T-shirts signed IRO for 25 €. The proceeds will be donated to the association that supports children and adolescents with cancer and their families. Don’t you want to miss this event? Book your room at the Hotel Alexia quickly. 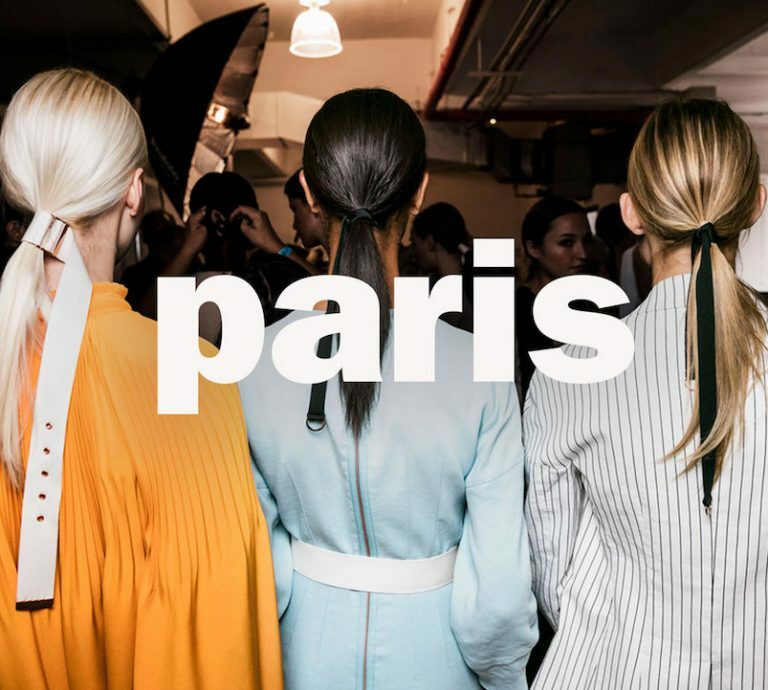 Paris Fashion Week: fashion in all its forms! Expected every season impatiently by fashion aficionados, Fashion Week de la Haute Couture will take place from 22 to 26 January 2018. A must-see event where you may see a few celebrities before or after the parades. Since 1973, Paris has shone around the world and continued to influence fashion, as did Milan, London and New York. Twice a year, the French capital hosts more than 100 parades in the most trendy Parisian places. Every season, Fashion Week allows professionals and enthusiasts to discover the latest trends and fashionable pieces that will make a big impression. Chanel, Yves Saint-Laurent, Gucci, Dior, Balenciaga, etc. : all the major Haute Couture houses will be present to unveil their creations. Fashion is an art of living in its own right and attending a fashion show is a real moment of pleasure. The unique know-how of the creators is a source of wonder for pupils. And, even if only professionals have the possibility to attend the parades, you can always try to spot models and celebrities who came specially for the occasion. To do this, you will have to make a detour through the Grand Palais, the Brongniart Palace or the Palais de Tokyo. Keep your eyes open! Other places, still kept secret, will be revealed on the canvas as time goes by. To make sure you don’t miss anything of Fashion Week, see you in Paris from 22 to 26 January 2018. The Alixia hotel will be pleased to welcome you in its cosy rooms. Christmas is fast approaching and offers a unique opportunity for Avenue Montaigne to unveil its most beautiful finery. This splendid avenue and its luxury boutiques will be adorned with enchanting illuminations. And this is to the delight of passers-by and visitors from all over the world who come every year to watch the lights of Paris shine before their eyes. Inaugurated by Stéphane Bern on November 17th, the Christmas Montaigne event marks the beginning of Christmas illuminations in one of the most beautiful avenues of the French capital. You will be able to admire bright arches, sparkling Christmas trees, multicoloured garlands and sparkling projections on the facades of the buildings. A true moment of happiness that will delight the hearts of Christmas lovers and a stunning spectacle for pupils! You will have the opportunity to take advantage of your stay at the Alixia Hotel to do your Christmas shopping on Avenue Montaigne. Shops will be open every Sunday. A unique shopping experience awaits you, surrounded by Christmas lights! To discover the other illuminations of the capital, you can make a detour through the avenue des Champs-Elysées whose lights were inaugurated by Lily-Rose Depp, the daughter of Vanessa Paradis and Johnny Depp; pass by the street of Faubourg Saint-Honoré, inaugurated by the singer Nolwenn Leroy; make a stop at the Place Vendôme or explore the district of Montmartre. 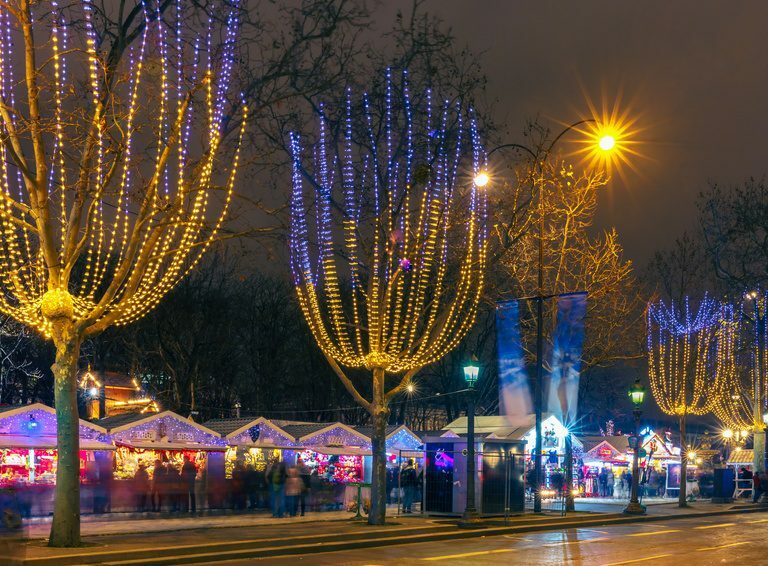 Paris never bears its nickname “City of Light” as well as during the Christmas holidays! 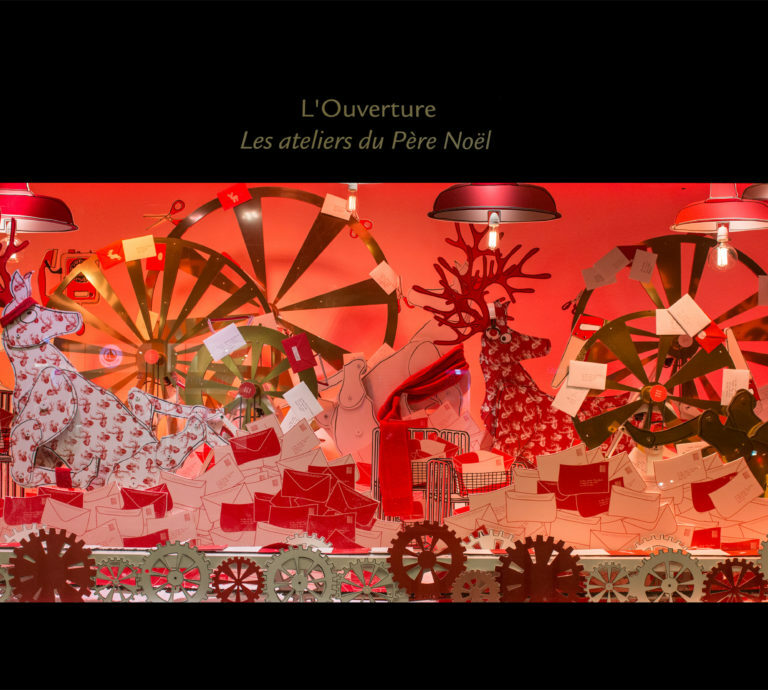 Immerse yourself in the magic of Christmas with the beautiful shop windows of Le Bon Marché. While the streets of Paris are lined with light garlands, the shop windows of the Grands Magasins metamorphose to bewitch passers-by. Among the most beautiful showcases of the capital, do not miss those of Le Bon Marché, located on the Rive Gauche. From 6 November 2017 to 1 January 2018, Le Bon Marché’s beautiful display cases will be replaced by Christmas fairytale scenes. Composed of magical decors and enchanting universes, these showcases plunge passers-by into the magic of the end of year celebrations. Each scene is created by craftsmen and decorators with unbounded know-how and imagination. This year, Le Bon Marché takes visitors to the heart of Santa Claus’s toy factory. A universe that is in danger of being unanimously accepted by children and Christmas lovers alike. You will be able to discover the big red man making toys with his little elves. Inside, the magic continues with majestic fir trees and unique decorations created for the occasion. From one space to another in the Bon Marché, you’ll sail deep in the sea, explore an enchanted castle, cross snow-covered mountains or take a break at the corner of the fire. A journey into the world of the extraordinary that is likely to illuminate the eyes of young and old alike. You can take advantage of your stay at the Alixia Hotel to buy your Christmas gifts at the Bon Marché. You want some more? Take a detour through the windows of other department stores in Paris. Les Galeries Lafayette, le Printemps et le BHV du Marais invites you to enter their fantastic world around Christmas. Opened since October 3rd, 2017, the Yves Saint Laurent Museum retraces the history of the mythical French haute couture house. Nestled in a private mansion in the 16th arrondissement of Paris, it houses the most beautiful pieces of the famous couturier, jealously preserved by the Pierre Bergé – Yves Saint Laurent Foundation, initiator of the project. Yves Saint Laurent’s creations were born in this same place for 30 years. Meticulous and pioneering, the creator took care to archive his work over time, in order to create a museum that would bring together his creations. A precaution which allows the museum to exhibit more than 5000 outfits and 15 000 accessories, but also thousands of sketches and photographs on more than 450 m 2. In an effort to keep the collections and the museum alive, the pieces will be renewed regularly. The foundation has taken care to create a retrospective tour and to present temporary exhibitions that pay tribute to the genius. Each space has been redesigned by scenographer Nathalie Maninière and decorator Jacques Grange to create an immersion in Yves Saint Laurent’s life. Visitors will be able to immerse themselves in the life of the designer and rediscover the creative process by discovering the former haute couture salons and the design studio. A true journey into the past! I would like to see my dresses and drawings studied in a hundred years, “he confided in 1992. It is done! 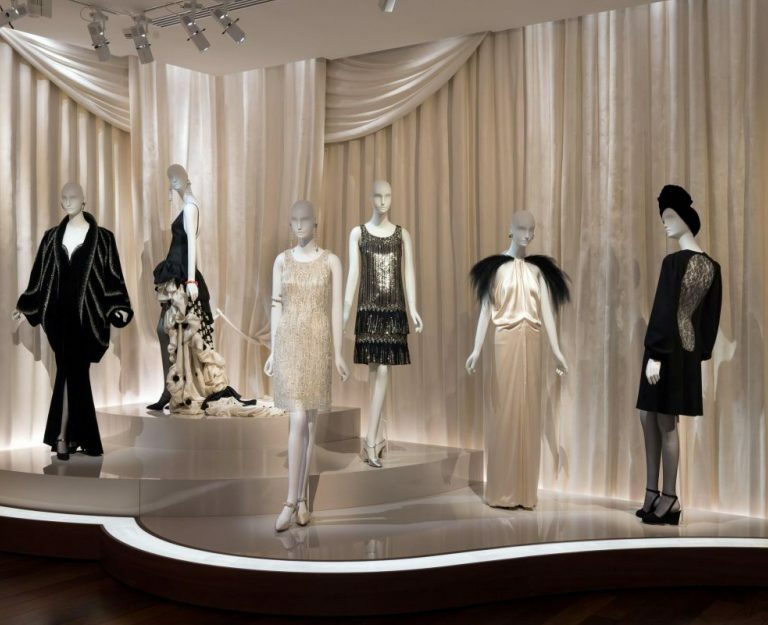 The Yves Saint Laurent Museum pays tribute to one of the greatest designers of Haute Couture and fashion. The course also includes video testimonials from former employees and highlights the strong relationship between Pierre Bergé and Yves Saint Laurent. Wine lover or curious, take part in the Beaujolais festival at the Sceaux markets on November 18th and 19th. You will have the opportunity to taste tasty wine and talk to the producers. 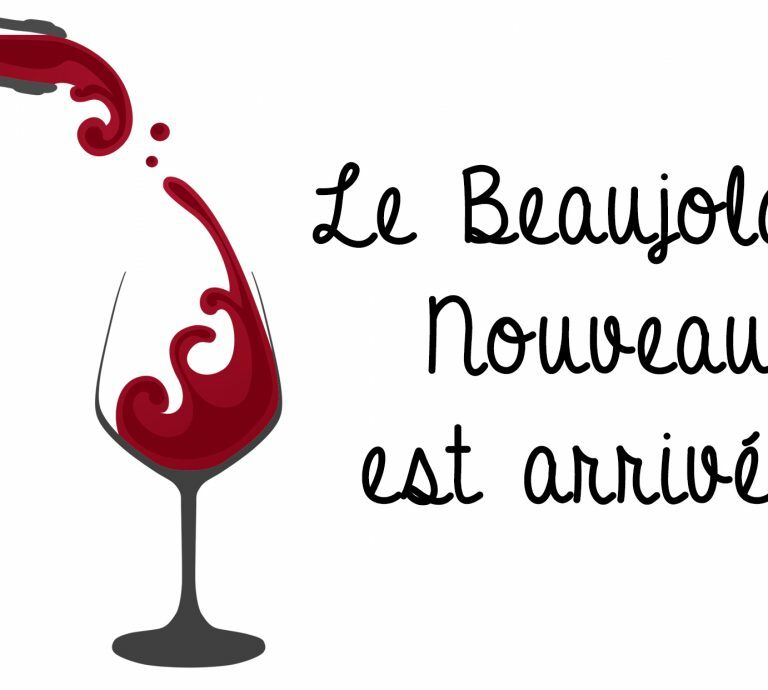 As every year in France, on the third Thursday of November, Beaujolais nouveau is honoured. Available for a limited period of time, this early wine is drunk within fifteen days of the opening of the first bottle. Thursday, November 16 will therefore mark the beginning of the festivities! According to tradition, the Beaujolais nouveau was launched during a parade of wheelbarrows filled with burning shoots. The barrels are then opened at midnight. If the Beaujolais Nouveau creates so much enthusiasm, it is mainly because it is one of the rare primeur wines to have known how to export beyond the borders of France. It is found mainly in Asia, our European neighbours and the United States. Indeed, this fruity and friendly wine is easy to drink and suits (almost) all palates. This French tradition celebrates the arrival of a new wine, a bit like when we celebrate the New Year. Beaujolais nouveau is also an opportunity to meet with friends. 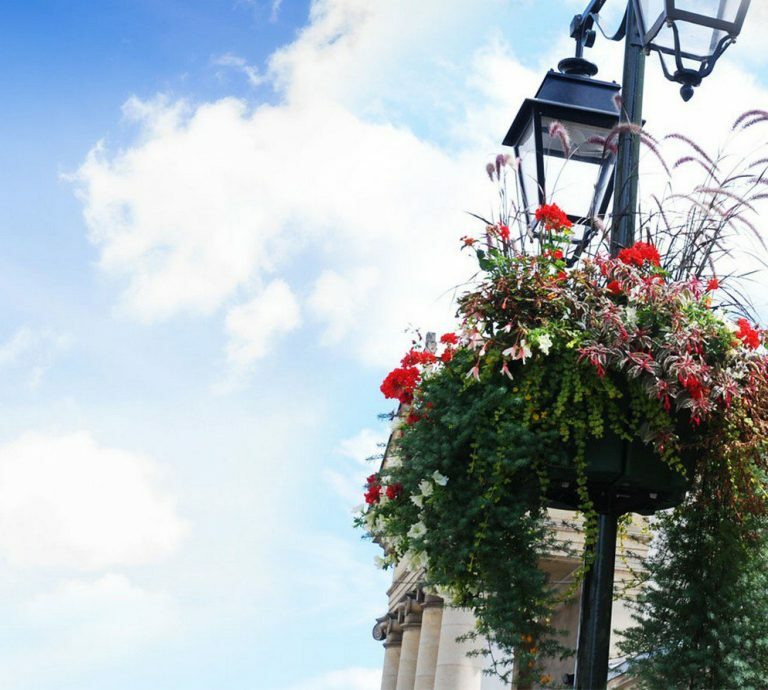 Among the many events organized in Ile-de-France, we suggest you to take a tour of the Sceaux markets on 18 and 19 November, during your stay at the Alixia Hotel. You will be able to meet producers and taste a glass of Beaujolais nouveau “à la bonne franquette”, probably accompanied by local products! For the 22nd time, the town of Bourg-la-Reine opens the doors of Villa Saint-Cyr to a renowned plastic artist. This year, as part of the “Rencontres d’ art contemporain”, Frédérique Nalbandian will be taking over the premises from October 6 to 29. find out if you are staying at the Alixia Hotel. Villa Saint-Cyr is only two blocks from the Alixia Hotel and a few minutes walk away. This beautiful millstone house from 1920 alone is worth the trip. It is in this context that Frédérique Nalbandian, the guest of honour at the “Rencontres d’art contemporain 2017”, invites you to share his passion for a material… never before seen. But not unknown! The artist works with soap, a malleable material that allows him to experiment with a variety of techniques and shapes. Soap is also an unstable and fragile material, subject to climatic variations, especially water. 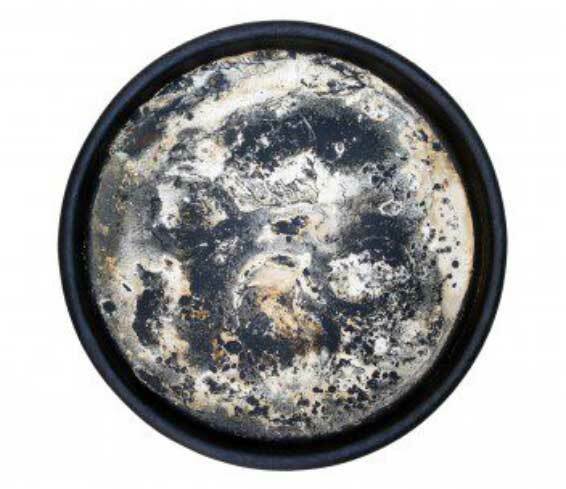 Thus, Frédérique Nalbandian’s creations are in perpetual evolution and question us on the passing of time, on the destruction of matter until its disappearance. 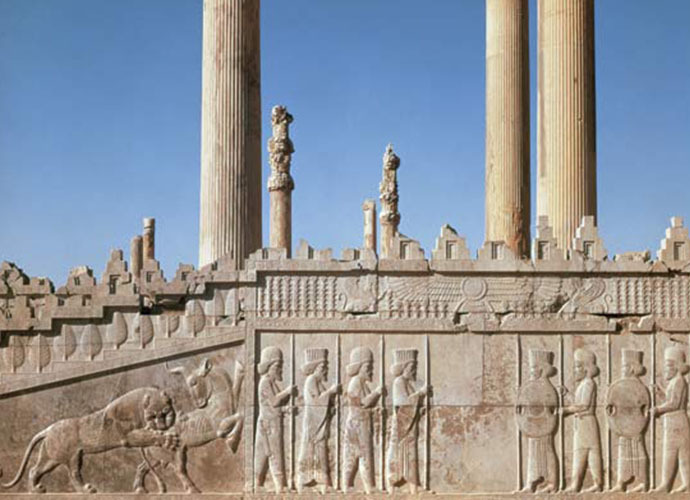 But at the same time, these moving reliefs open new doors for us, drawing new continents. As if to exhort us not to yield to resignation. The pieces sculpted and exhibited by Frédérique Nalbandian, their staging sometimes astonishes and often surprises. They refer us to nature, to the history and relationship of man to the world. It’s THE rendezvous for gourmets! The Chocolate Fair returns to Paris-Porte de Versailles from October 28 to November 1. Once again this year, chocolate makers and confectioners invite you to experience the great adventure of chocolate and cocoa. While the grayness gradually envelops the city, a little sweetness is not denied! For this 23rd edition, discover the 5 continents and their cocoa treasures! The trip promises to be a great opportunity to meet people from 60 countries and more than 500 participants. All the actors in the cocoa industry will be represented, from the grower to the internationally renowned pastry chef. The 20,000 square meters of the Fair are divided into two sectors. In level 2, there is room for craftsmen and pastry cooks! 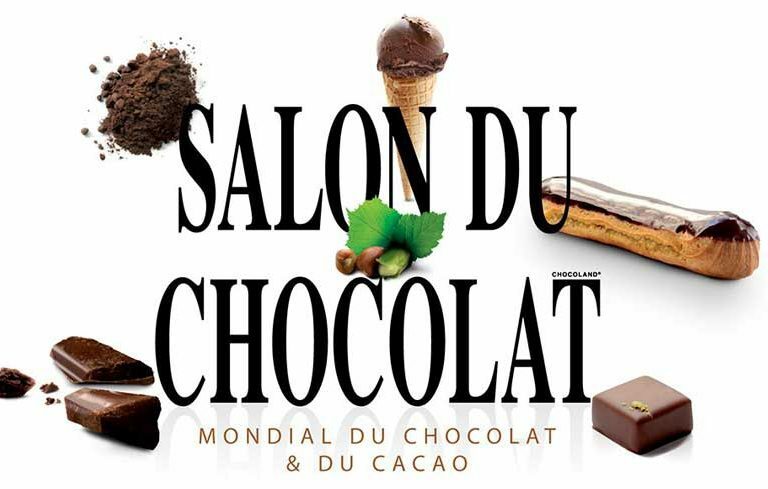 It is the perfect place to admire and taste the most beautiful creations, in particular the new products specially launched at the Salon du chocolat 2017. Want to get involved? At level 1, culinary workshops run by chefs await the pastry apprentices. Are your children with you? The Junior Chocolate Show welcomes them. On the programme: animations, workshops,”cocoa classes”, great snacks and live recipes. If you are staying at the Alixia Hotel in Bourg-la-Reine around October 6th, give yourself a taste of the day. The city invites you to take part in a tasting workshop led by Jérémie Breuzin, a chocolate specialist. What drives us to write? What is the place of writing in the life of an author? Several speakers will try to answer these questions around a discussion. 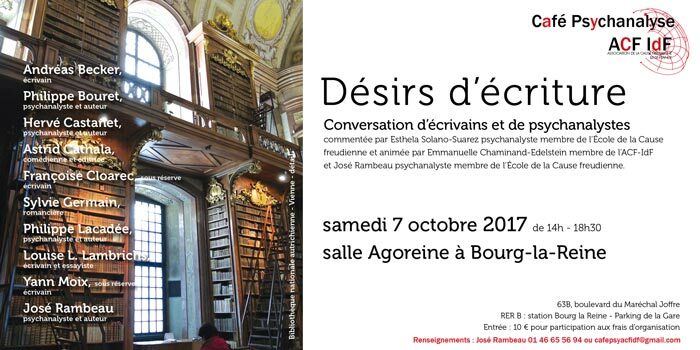 The Association of Freudian Cause Ile-de-France (ACF-IdF) invites you to participate in its next coffee-debate Psychoanalysis on the theme “Writing Desires” on the 7th of October 2017 at the theater Agoreine of Bourg-la-Reine. From 2:30 pm to 6:30 pm, Emmanuelle Chaminand-Edelstein, ACF-IdF member, José Rambeau and Esthela Solano-Suarez, psychoanalysts, members of the “Ecole de la Cause Freudienne”, will be hosting this Coffee Psychoanalysis debate on “Desires Writing “. They will be accompanied by writers Louise L. Lambrichs, Sylvie Germain and Andréas Becker; Psychoanalysts Philippe Bouret, Philippe Lacadée and Hervé Castanet; And actress Astrid Cathala. The discussion will take the form of a conversation between facilitators and presenters. Together, they will try to analyze the singularities and desire that drive an individual to write and the place of writing in his life. You will have the opportunity to attend and participate in this exciting discussion. Everyone will try to pay tribute to words, writing and books at a time when the image dominates, because of the pervasiveness of social networks and advertisements in our present society. The conversation will continue with a drink between the audience, the facilitators and the speakers. You will have the opportunity to deepen your reflection and meet exciting professionals. If you are staying at the Alixia Hotel on the 7th of October, we will meet you at the Salle Agoreine in Bourg-la-Reine at 2:30 pm to attend this coffee-debate Psychoanalysis. This is the event that history and heritage lovers look forward to every year! The European Heritage Days will take place on the 16th and the 17th of September 2017. For two days, numerous monuments and cultural places will open their doors for free and offer you a plethora of activities and workshops. Not to be missed ! Created in 1984, this unmissable cultural event allows curious visitors to discover no less than 17,000 monuments throughout France. Usually closed to the general public, these cultural places come alive for two days around workshops or conferences. This event represents a unique opportunity to meet enthusiasts who make every effort to preserve our heritage and showcase it. 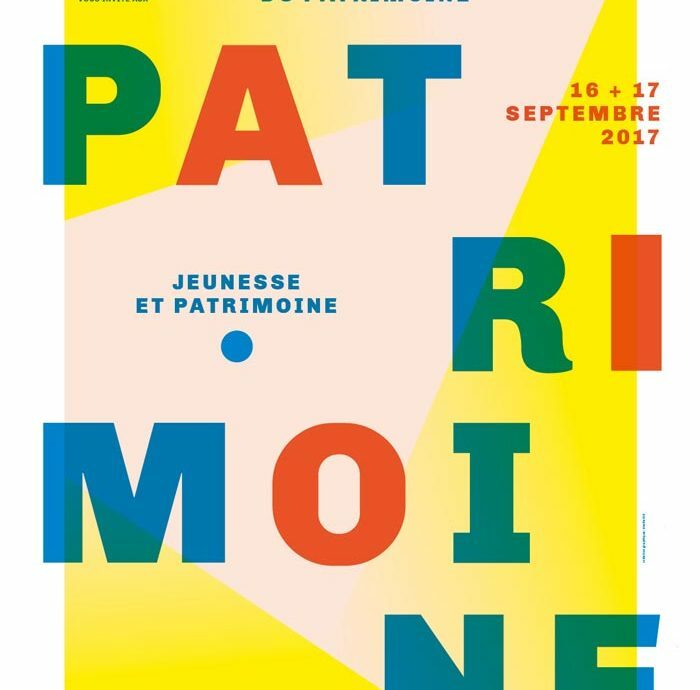 For a whole weekend, the European Heritage Days are back for a 34th edition on the theme “Youth and Heritage”. Many walks, guided tours and workshops adapted to children will be organized throughout the Ile-de-France and in Paris. These activities will help to raise young people’s awareness of our heritage, our history and the history of art, as well as heritage professions. Are you staying at Hotel Alixia from 16th to 17th September? Why not take advantage of the opportunity to participate in the European Heritage Days? In the department of Hauts-de-Seine, you will have the opportunity to discover the Museum and park of the Domaine de Sceaux, the City of Ceramics of Sèvres, the Castle of the Petite Malmaison or the House of Workshops of Meudon. The great cultural sites of Paris will also make you discover places unpublished. From the Banque de France to the Palais Royal, through the Collège de France, the National Assembly, the Senate and the Philharmonie of Paris, you will spend a captivating weekend! On August 25th, the story begins to celebrate the 73rd anniversary of the liberation of Paris and Bourg-la-Reine, as well as the 70th anniversary of the disappearance of General Leclerc. On this double occasion, the town of Bourg-la-Reine will organize a ceremony commemorating the Liberation of Paris and Bourg-la-Reine. To attend this event, the city will meet you on Avenue du General Leclerc, in front of the 2nd Armored Division terminal. It will be the occasion to celebrate the liberation of Paris and Bourg-la-Reine by the allied forces in 1944. On August 25th of that year, American troops marched through the streets of Paris before the relieved look of the Parisians and Of the Francilians, happy at last to be free from the German occupation. A unique moment in the history of our country. Three years later, General Philippe François Marie de Hauteclocque, better known under the name of General Leclerc, died. He was one of the principal military leaders of Free France during the Second World War and was led to command the 2nd Armored Division. The town of Bourg-la-Reine will therefore take advantage of this special day to pay tribute to this man who played an important role in the history of France and to those men full of courage who fought “for Peace, Freedom And the Rights of Man “. From the 15th of August to the 17th of September 2017, the Orangerie de Sceaux Music Festival will enchant your eardrums at its 48th edition. From Bach to Brahms, from Mozart to Dutilleux, and from Beethoven to Bartók, you will discover works of baroque, classical and contemporary revisited by young talents and internationally renowned artists. 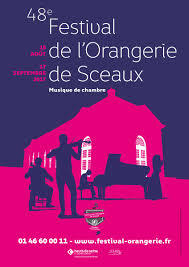 Organized with the support of the Hauts-de-Seine General Council and the city of Sceaux, the Orangerie de Sceaux music festival is recognized as one of the largest chamber music festivals in France. It offers its audience an armful of chamber music, piano, singing and allows to discover a myriad of new talents. Great performers or young artists, all have been carefully selected by Jean-François Heisser, artistic director of the festival. This prestigious event, which has become a must, takes place every year at the Domaine Départemental de Sceaux. It is in the heart of a green setting, in a magnificent classical building, that the public will be able to appreciate the beauty of the places and the unheard quality of the sounds that escape there. With a capacity of 500 seats, the room favors proximity with the artists and naturally captures the melodies. Among the artists who will perform during the Orangerie de Sceaux Music Festival, you will be able to (re) discover Takuya Otaki – Laureate of Orléans International Competition, Quatuor Arod and Marie-Josèphe Jude or Shuichi Okada and Kantorow. Verdant and resplendent, the Departmental Estate of Sceaux invites you for a rural walk or a picnic before ending the day listening to music on a beautiful summer day! As every year for July 14, Sceaux and Antony prepare magical festivities for the evening of Thursday, July 13th. Dance, fireworks and dancing just a few steps away from the Alixia Hotel: all you have to do is choose your place! Created in the 18th century by the Duchess of Maine, the garden of the Menagerie is also known as Small Park of Sceaux. It was designed to be a place of entertainment for the Duchess. Today classified, this large space of greenery was sold in 1799 to become a place of popular festivals, including the Bal de Sceaux. As every year for the National Day, the city organizes its famous ball that will take place on July 13th. You can dance all day before watching the Fireworks from nightfall. Rendez-vous on July 13 at the garden of the Ménagerie de Sceaux, at 70 rue Houdan. On the side of the neighboring town, in Antony, you can watch the traditional fireworks at the Noisette park on the green castle from 11 pm. 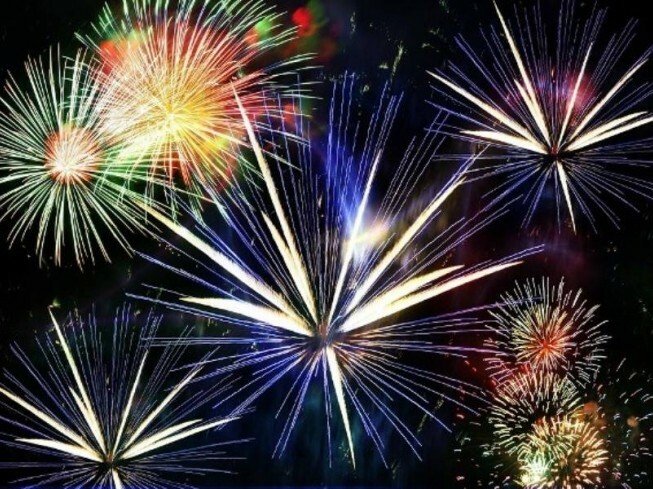 Organized with the city of Verrières-le-Buisson, this pyrotechnic show will put you full of mirettes. The sky will illuminate with a thousand lights before leaving at the fire brig at the barracks. 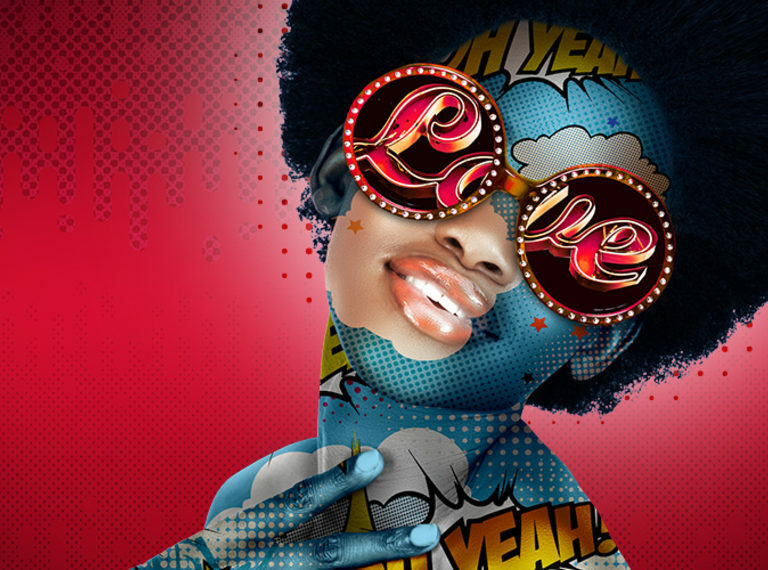 The Generation band and a DJ set will perform live and make you dance until the end of the night. Each year, the Maison des Arts d’Antony proposes to the public to discover its four artistic favorites of the year. This seventh edition of “Artists to Discover” will be held from June 21 to July 23, 2017 and will amaze visitors. A talented sculptor, Cécile Devezeaux de Lavergne practices intuitive cutting on wood. She lets her fingers slide over the material to create abstract works and bring out the sensual, beauty and sensuality of the object. For her part, Isabelle Terrisse, awarded at the Salon of the Cultural and Artistic Circle of Antony in 2014, transforms and turns objects, chinés right and left. His heterogeneous creations are the result of experiments and an overflowing imagination. Its purpose: to lose the original identity of the object to give it a new life. Sylviane Leblond devoted herself to Chinese calligraphic painting after her two trips to China. It appropriates this millenary art and renews it by combining oriental influences with our Western culture. She creates colorful and vivid compositions on silk or rice paper. Finally, the poetic works of Carole Melmoux earned her to be awarded the Salon of the Cultural and Artistic Circle of Antony in 2011. The artist subjugates thanks to the intensity of her strokes and the depth of her colors. In June, Bourg-la-Reine turns into a festive city where the Music Festival, the Celebration of the City and the Saint-Jean Festival will take place. So many activities to discover during your next stay at Hotel Alixia. What a more pleasant setting than the Parc de Sceaux to celebrate the Music Festival ? It is in this little green lung that you can sail from one grove to another to listen to the students of the 9 conservatories of the territory Vallée Sud-Grand Paris push the song. To round off the evening, the bid finale of the “Fanfares d’aujourd’hui” will bring together more than 150 participants for a musical and choreographed performance. The sunny days are here and the summer holidays are fast approaching. An opportunity for the city of Bourg-la-Reine to celebrate its annual “Fête de la Ville” on June 24th. On the program: animations, contests, guignettes and world cuisine! Ready for the “Noctureine” ? On June 16, the riders will invade the streets of Bourg-la-Reine. After a very promising first edition, the city decided to reiterate its nocturnal race, the Nocturne ! 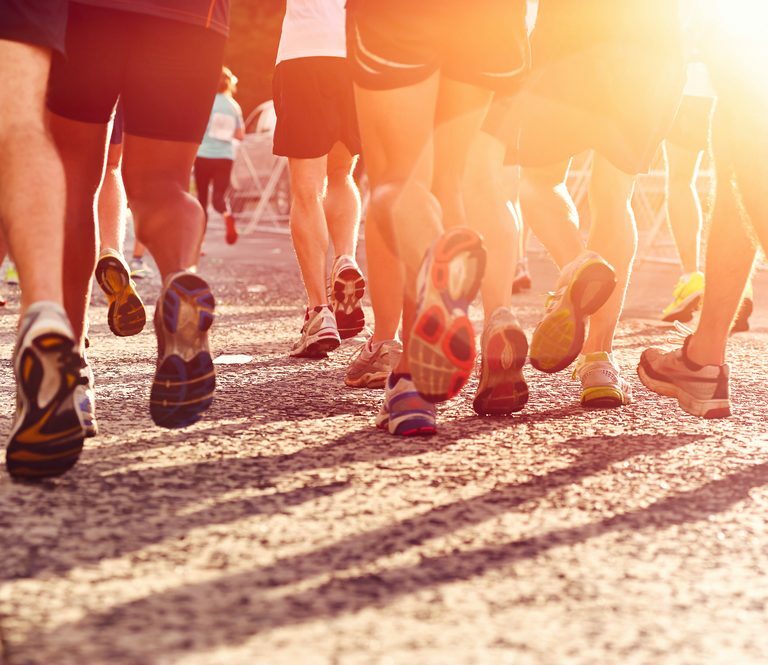 Do not hesitate to take your racing shoes to participate or to encourage the runners during your stay at the hotel Alixia ! This sporting and family event will take place, as last year, at sunset. It is free and open to all: seasoned runners as well as Sunday riders, and even children from 6 years old! You can choose between two courses: one of 1.9 km and another of 10 km. Would you like to participate at the “Noctureine”? Simply register by downloading the registration form at http://www.topchrono.biz/ (1 € registration fee) or on site at the Charpentier Stadium on the same day from 4pm. Have you set your sights on the 10 km race? The organizers will ask you for a valid “Running in Competition” (or a valid athletic license) that you can ask your family physician before D-Day. You can collect your bib from 4 pm Youth and Sports. And if, during your stay at the hotel Alixia the weekend of May 20, you were traveling in time? 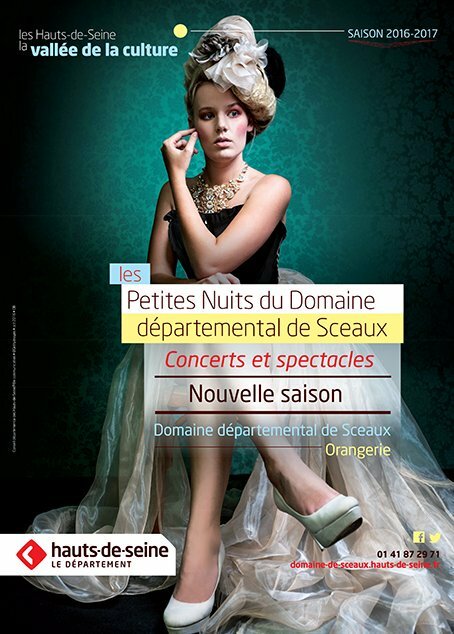 The museum of the departmental domain of Sceaux organizes “Les Petites Nuits de Sceaux”, evoking the spirit of the feasts of the Duchess of Maine. These performances of baroque music and dance give you a rendez-vous for artistic evenings throughout the season. On the occasion of the European Night of Museums, the estate welcomes Compagnie Fantaisies Baroques for a magical and historic ball: «1717, honors made to the Tsar». The show will take place in the charming setting of the Orangeraie on May 20, 2017 at 8 pm. Founded by Irène Feste and Pierre-François Dollé, this company of dancers stages with grace, virtuosity and fantasy a memorable event of the domain of Sceaux. Indeed, in 1717, the Duke and the Duchess of Maine had the pleasure of receiving the visit of the Tsar Peter 1st of Russia, says the Great one. He was then offered several activities: the opera, the visit of the royal library and the hunting in Fontainebleau. The company Fantaisies Baroques invites you to relive the splendor of this period where playful music and dance are combined in an enchanting setting. This event will be the opportunity to (re)discover one of the most beautiful areas of Ile-de-France: the domain of Sceaux. Its 150 hectares of raised gardens offer spectacular views and shelter a splendid Castle, where is located the Departmental Museum of the Domaine de Sceaux. Discover all the details of “Les Petites Nuits de Sceaux” on the website of the Departemental Museum of the Domaine de Sceaux. Are you planning to stay at the Alixia hotel on the weekend of the 13th and the 14th of May? Are you looking for a cultural outing? Let yourself be tempted by the funny play “Tout bascule” which will stop at the Agoreine Theater of Bourg-la-Reine on May 14th during its great tour! Written by Éric Lejeune in 2002, the play “Tout bascule” never fails to make the spectators laugh with its sarcastic sequences and its piquant replicas. It was performed in Paris at “la Michodière”, in Bobino, at the “Grande Comédie”, but also in Rome, Spain and Belgium. What can push a man to divorce only two hours after saying “yes” to the woman he loves? The response on stage on May 14th at 5 pm at the Agoreine! The play begins with a moment of happiness. Jacques Lasségué, a well-known publicist and incorrigible seducer, is preparing to rank and marry Corinne, his companion for five years. Everything unfolds perfectly until his sister throws a grain of rice into his eye. It is at this moment that all rocks and that it leaves to take refuge in its secondary house, located to a hundred meters of the place of the ceremony. Between misunderstandings and catastrophes, everything unfolds at a frantic pace! Jean, his mistress’s husband came in tears to announce the death of his wife. Michel Rolors, politician, announces the end of their collaboration. Quentin Querrochot, a local journalist, is chasing him for an interview. Corinne, the bride, is annoyed. In short, everything rocked! After many performances at the Grande Halle de la Villette, the dance show “Until the Lions” will once again amaze audiences from April 21st to 23rd at the Gémeaux de Sceaux Theater. A cultural meeting not to be missed on your next visit to the Alixia Hotel in Bourg-la-Reine, which is only a fifteen minute walk from the theater. Directed by the artist Akram Khan, this show has spellbounded the public on numerous occasions. It offers a version of a rare intensity with a feline and tragic choreography. Created in 2016, “Until the Lions” is inspired by the Indian epic Mahabharata and relates the story of Amba, daughter of King Kashi. The girl is abducted on the day of her wedding by Bheeshma, a mid-man warrior, half-god, interpreted by Akram Khan. He will face the two faces of the princess, whose vengeful male reincarnation. 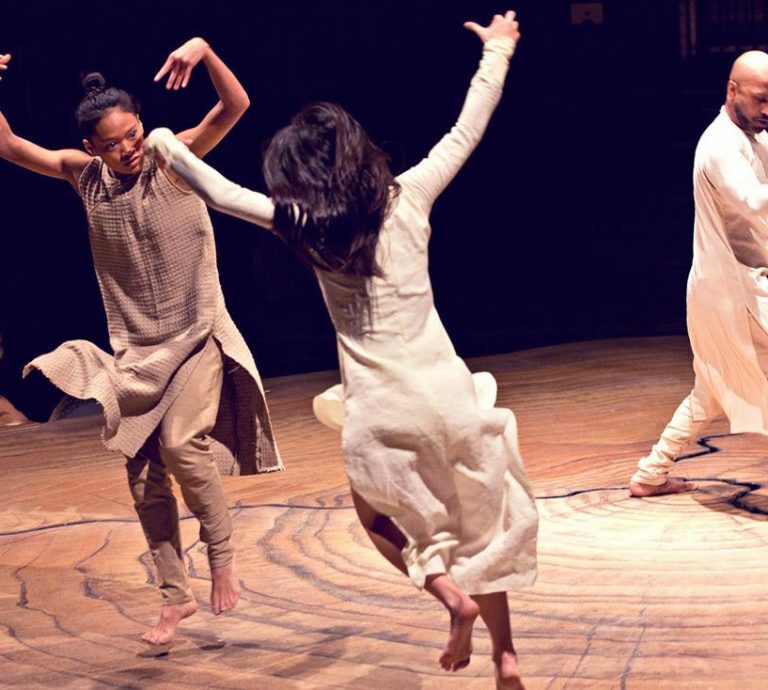 The trio of dancers, Akram Khan, Ching-Ying Chien and Christine Joy Ritter, evolves in a circular decor. The show offers breathtaking duos and sensational acrobatics through the incredible flexibility of Ching-Ying Chien. Four musicians and singers give rhythm to Arabic melodies, Indian percussions and ancient French songs. Born in London and originally from Bangladesh, Akram Khan grew up and learned dance alongside Pandit Ravi Shankar, Peter Brook and Jonathan Burrows. He collaborated with sculptor Anish Kapoor and choreographers Sidi Larbi Cherkaoui and Israel Galván before launching his own company in 2000. Japanese animation and manga fans will meet on Saturday 8th and Sunday 9th April at “Les Colonnes” in Bourg-la-Reine, a short walk from the Alixia Hotel. Whether you are a Japanese culture enthusiast or just curious, enjoy your weekend to discover the world of japanimation at the Jonestu Convention! Organized by the association Nijikai, this event celebrates Japanese audiovisual culture and the culture of manga. It offers conferences and numerous activities presented by professionals of animation and publishing. Dozens of artists will exhibit their work and share with you their passion for japanimation. You will also find a sales space and you can even enjoy delicious chicken sandwiches! 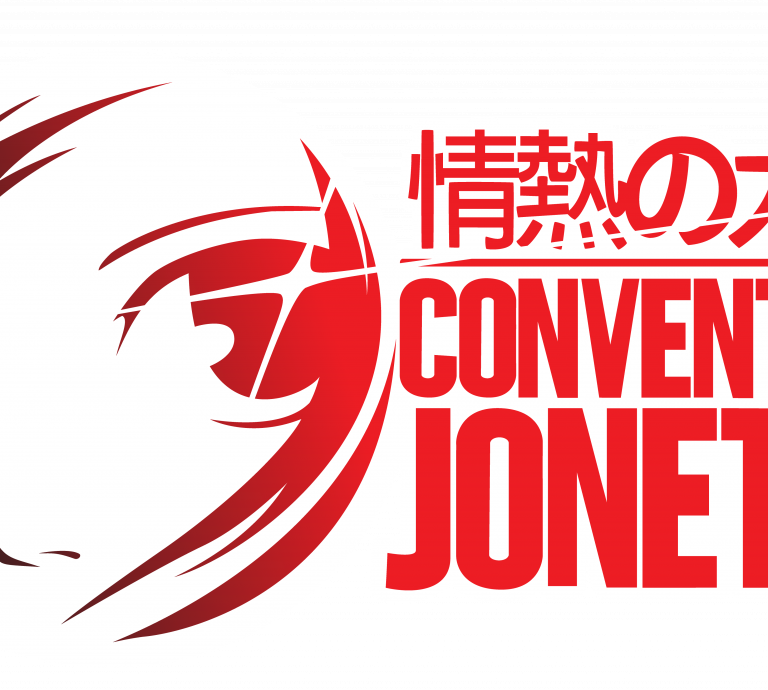 The objectives of the Jonetsu Convention are to raise public awareness of Japanese modern visual culture and its functioning, whether in Japan or in France; And to promote French independent artists and creators. You will have the opportunity to discover the specificities of the dubbing of Japanese animations, the universe of the Gundam franchise or the Sengoku era in modern Japanese works. Meaning “Passion” in Japanese, Jonestu is an associative event designed by enthusiasts for animation fans and curious “7 to 77 years old”. This convention is intended to be educational and open to all those interested in Japanese visual culture. Good humor and conviviality will be in order for this edition 2.0! 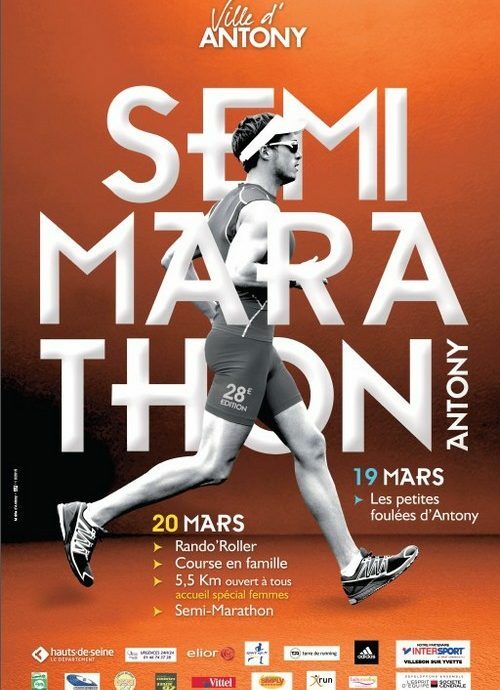 Experienced runners or runners of the Sunday: and if you try the Antony half-marathon? The hotel Alixia will meet you on Sunday, March 19 from 12 noon to rue des Champs d’Antony. Friendly atmosphere guaranteed! Not registered ? Rest assured, there is still time! Several formulas are proposed and will allow you to choose your race according to your level. Young and old, amateurs and sportsmen will be able to run and have fun on 3 different courses. The family race brings together a child and an adult over 8 years old for a race of 1000 meters. An unforgettable experience to do with your children. For those who like to run without looking for performance, the 5.5 km loop will be perfectly suited! Finally, the bravest and the sportiest will try to cover the 21 km of the half marathon. A real challenge that allows to be classified and qualified for the French Championships! Do you like the competition? Go for the inter-company challenge with 4 of your colleagues. Runners of the half marathon will head towards the green castle of Antony and will walk along the boundaries of the town, passing beside the reservoir of the Bièvre and the regional nature reserve before returning to the city center again. The fans will be able to enjoy the numerous events organized by the event in the partner village in the heart of the Hôtel-de-Ville district. Participants can warm up to music 15 minutes before the start of the races or enjoy free manipulation by the students of the Osteobio school in Cachan. The epicureans lick their lips just thinking about the weekend of March 10-12. The Les Colonnes de Bourg-La-Reine space welcomes every year in March Les Tables Gourmandes, a must-see for epicureans. And if you enjoyed your stay at Hotel Alixia to make a jump? The Tables Gourmandes of Bourg-La-Reine are animated by passionate professionals who love to share their love for French gastronomy. It is in the convivial space Les Colonnes that you will have the pleasure of savoring local products and dishes concocted by talented chefs. Everyone has the will to discover a refined cuisine and to highlight local products as well as regional culinary traditions. 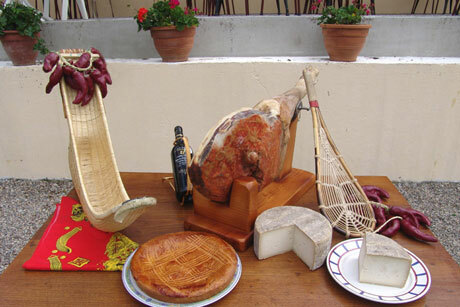 Gourmets can enjoy Basque, Breton, Lorraine, Picardy or Auvergne specialties without moderation. This culinary journey will take you to the four corners of France while awakening your taste buds. French wines will also be represented to accompany your tastings. Burgundy, Beaujolais, Saumur, Alsace and Champagne, some 20 exhibitors will meet you. Préparez-vous à en prendre plein le gosier et à revenir les bras chargés de produits du terroir ou de bonnes adresses pour vos prochains achats gastronomiques ! Et surtout, laissez-vous tenter par un déjeuner sur place au cours duquel vous pourrez déguster des recettes authentiques hautes en saveurs. Enjoy your stay at Hotel Alixia to discover two major cultural events in Bourg-la-Reine. The 49th Salon de Peinture Ile-de-France takes place at the Columns of Bourg-la-Reine, while the event Connaissance du Monde takes place at the Théâtre de l’Agoreine. From January 28 to February 12, 2017, visitors will have the pleasure to discover the talent of Nadine Leprince. 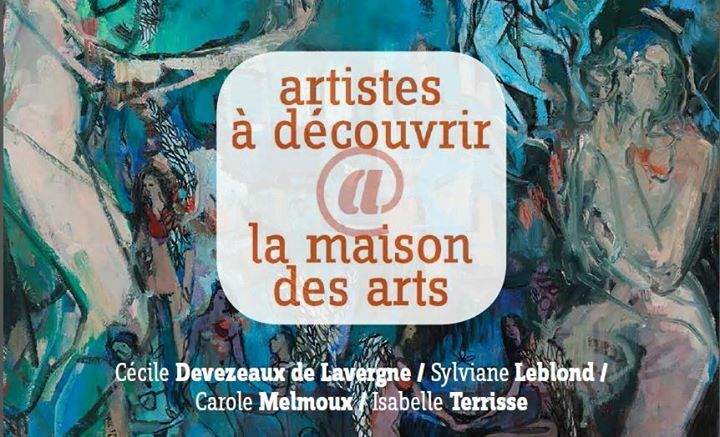 This exceptional artist will exhibit her works in the “L’espace des Colonnes”. You will dive into its universe full of mysteries, synonymous with an invitation to travel. An inveterate observer and a great traveler, her work subtly mixes living beings, travel and nature. – The Eternal Russia of Nicolas Pernot, February 3: a journey out of time in the land of the Tsars, accompanied by a visual fresco to take the breath. – Sicily by Olivier Hour, 9 March: Sicily is a true marvel of the Mediterranean Sea, offering generous nature, a rich artistic heritage and endless beaches. An energetic and innovative city, Antony boasts a dynamic economic pole and a rich cultural life! Located about twenty minutes from Paris and near Orly airport, it attracts professionals and individuals during a stay in the capital. Discover its activities and events in February. New economic cluster of Paris, Antonypole stands out for its innovations and its dynamism. Many leaders of Biotech and Hightech have settled there, taking advantage of its privileged location and its proximity to Orly airport, the TGV train station in Massy and the center of Paris. City in mutation, Antony will be connected by 2023 to the Greater Paris Express. A significant asset that has seduced Air Liquide Medical Systems, Dräger Medical, Moria and Kelenn Technology. The icing on the cake for a touch of originality, Antony offers two sites for Food Truck where nine nomadic restaurateurs succeed one another to offer quality products to the workers of the sector. Are you an entrepreneur, an entrepreneur, a project leader, a professional retractor, a self-entrepreneur, an investor, a craftsman, a jobseeker, a trader or a student? Note the dates of the 1st and 2nd of February 2017 in your calendar! The Salon des Entrepreneurs gives you an appointment at the Palais des Congrès in Paris at Porte Maillot. 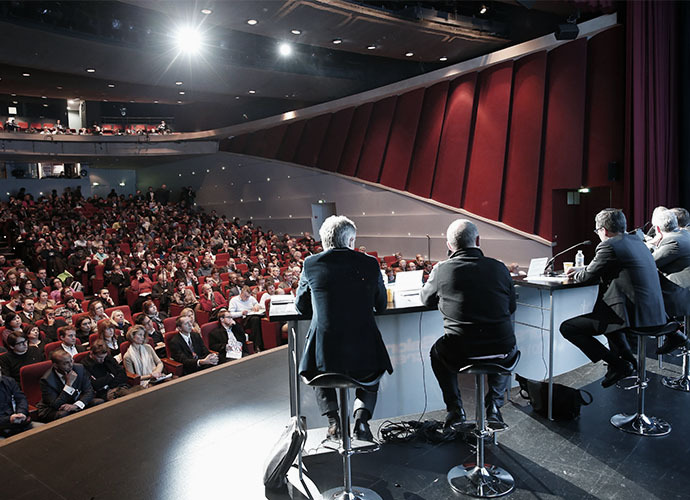 Platform for the exchange of ideas, knowledge and know-how, the Salon des Entrepreneurs is one of the largest gatherings of entrepreneurs in Europe! A unique opportunity to share your experience, but also to create and expand your network. During this 24the edition, you will have the opportunity to meet inspiring people, listen to motivating testimonials, exchange with experts and participate in conferences or workshops. Pack your notebook and business cards! These two days will be the occasion to create links, to discover the new tendencies and to try to make take off your projects. Among the expected entrepreneurs who will give lectures, Sébastien Bismuth from Undiz and Augustin Paluel-Marmont from Michel & Augustin will give you their secrets to succeed internationally; Benjamin Cardoso from LeCab will talk about digital as an engine of growth; Frédéric Mazzella of BlaBlaCar will propose a debate on growth; And Guillaume Gibault of the French Slip will explain how to convince investors to raise funds! To make the most of this meeting, the hotel Alixia of Bourg-la-Reine welcomes you in its rooms and apartments cosys. Located just 15 minutes from Orly airport, it is possible to reach the Palais des Congrès in less than 45 minutes by public transport.